Scientists are shocked by a major discovery made about elephants, and they can't figure out how it is even possible. Scientists are scratching their heads after making a discovery about elephants that doesn’t seem to fit with reality. 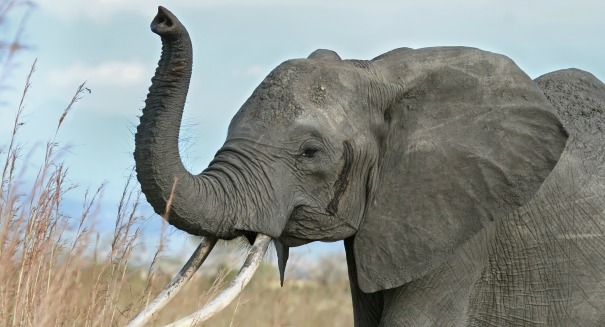 Despite the fact that sleep is associated with memory retention, and also despite the fact that elephants are known for their memory, this huge animal sleeps only for a couple hours a day in the wild. The study, published in PLOS One, makes the claim based on two wild African elephants in Botswana that were fitted with a device to track their movements and sleeping habits over a period of 35 days. Elephants also apparently also stay awake for up to 48 hours if they are threatened by predators or poachers. That’s a lot different from the behavior of elephants in captivity, which will sleep for six hours per day, somewhat comparable to the sleeping habits of humans. Another interesting finding is that elephants dream every three or four days when they enter Rapid Eye Movement (REM) sleep. Entering REM sleep so infrequently puzzles scientists, as REM is associated with memory. Some fossils found in South Africa may belong to amphibians that gave rise to land-based creatures hundreds of millions of years ago. Researchers have found evidence of organic molecules, raising the potential that ancient life once existed on the Red Planet. Orange Is the New Black actress Laura Prepon has married long-time friend Ben Foster. Jurassic World caused a minor shoe-based controversy when it came to Bryce Dallas Howard’s character Claire. Pete Davidson expressed immense happiness about his girlfriend Ariana Grande on social media this weekend.